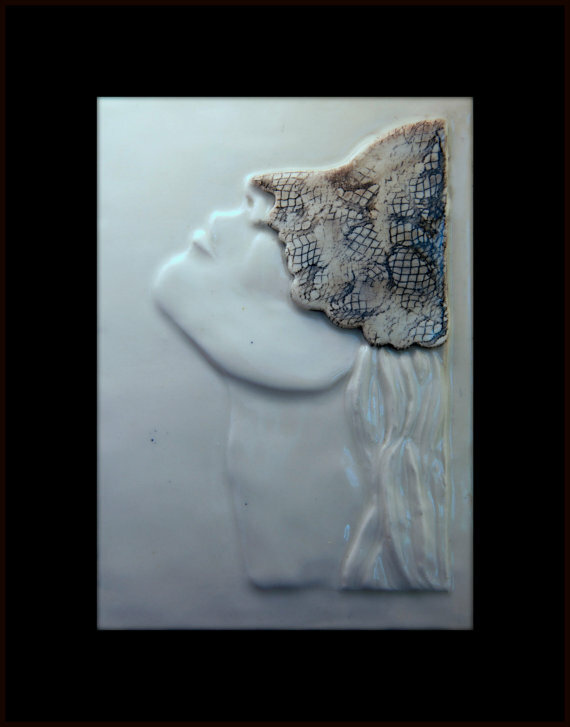 This bas relief was inspired by the 2011 cover of Vogue. It featured two woman posing with lace applied over their eyes. It was such a striking photo, I had to give it life.